A British officer has recently been fired for putting his Pakistani wife on a terror watch-list, according to a report in The Daily Mail. He used his access to security databases to include his wife on a watch list of people banned from boarding flights to Britain because their presence in the country is "not conducive to the public good". As a result the woman was unable for three years to return from Pakistan after traveling to the county to visit her family. The act went unnoticed until the immigration officer was selected for promotion and his wife's name was found on the suspects' list during the vetting process. The British Home Office said that the officer has been fired for gross misconduct. This is not the first time that questions are being raised about the no-fly list. The process of adding names to the list has been a mystery since it was first launched in September, 2001. It contains names of little children, and of people who have long been dead. Officially, the process to add or delete people from the list has been a closely guarded secret, with only bits of information made public during US congressional hearings, according to Wired magazine. Even though the list has grown, but it did not contain the name of airline passenger Umar Farouk Abdulmuttalab, according to ABC news. The Nigerian tried to bomb a Detroit-bound Northwest airlines flight on Christmas Day using explosives packed in his underwear. The first step might be a simple tip to law enforcement or an intelligence agent or may come from information gleaned from a wiretapped conversation. The tip is submitted to the National Counterterrorism Center in Virginia, where it’s entered into a classified database known as Terrorist Identities Datamart Enterprise, or TIDE. The database might include a suspect’s name and relatives and associates. About 2 percent of the names in the database belong to Americans. Here information is data-mined to connect dots and flesh out partial names and identities. If enough information can be connected to a Terrorist Watchlist target, it’s escalated to the Terrorist Screening Center, also in Virginia, for more analysis. About 350 names are sent to the screening center daily. Depending on what the analysis turns up, a suspect might wind up on the FBI’s terror watchlist, which includes the names of about 418,000 people — including a New Jersey eight-year-old who regularly gets frisked at the airport. Airport security personnel use the list to single out some travelers for extra screening or interrogation, and the watchlist is also used for screening U.S. visa applicants and gun buyers, as well as suspects stopped by local police. To get on this list, there must be “reasonable suspicion” that the person is involved in terrorism, according to the AP. People whose names are on this list are singled out for questioning at U.S. borders, but they can still fly. A Justice Department inspector general report last year found that the FBI was mishandling the watch list and failing to add legitimate suspects under terrorist investigation to the list; at the same time not properly updating and removing records from the list so some U.S. citizens are subjected to unjustified scrutiny. In order to get on the no-fly list, authorities must have the suspect’s full name and age and have information indicating that the suspect is a threat to aviation or national security. The final decision for adding a name to the no-fly list rests in the hands of about six people from the TSA, the AP said. At this point, a suspect can either be added to a “selectee list,” a list of about 18,000 people who are singled out for extra screening at airports or be put on the no-fly list. 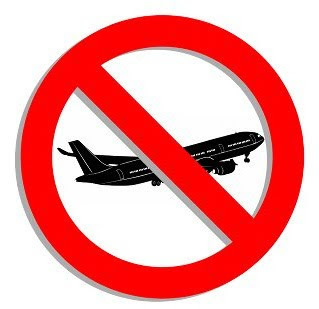 Not all people on the no-fly list are prevented from flying, however. Sometimes authorities allow them to travel unimpeded, but place a tail on them to monitor their activity, the AP said. Originally intended to be a serious intelligence document, FBI agent Jack Cloonan told CBS that the No Fly List has become a "cover your rear end" document designed to protect bureaucrats and make the public feel more secure. "I know in our particular case they basically did a massive data dump and said 'Ok anybody that’s got a nexus to terrorism, let’s make sure they get on the list,'" Cloonan explained. "And once that train left the station, or once that bullet went down range. There was no calling it back. And that is where we are."